Everyone in Australia have basic rights and protections in the workplace, including minimum pay and conditions. 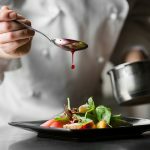 The Fair Work Ombudsman makes sure that these rights are protected and enforced fairly under Australia’s workplace laws. Visit the Fair Work Ombudsman website for more information about working in Australia. How to apply for a TFN (Tax File Number)? 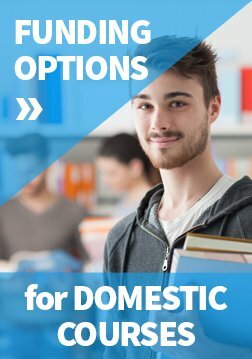 You should apply for an TFN first thing when you arrive in Australia. You will need it for employment and tax purposes. How to apply for an ABN (Australian Business Number)? If you want carry an enterprise or a business, you need to apply for an ABN. Life in Australia will be quite different to life in your home country. 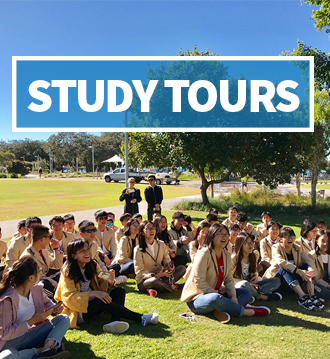 Orientation activities have been designed to assist students become familiar with Australian culture and customs and to introduce students to the college and its services. All students will be provided with an orientation information pack which will have information about living and studying in Australia. Orientation sessions will focus on enrolment, facilities and services. It is a great way to meet other students who will also be studying at SERO Institute. Brisbane’s unique architecture, riverfront setting, perfect climate, cultural diversity and unrivalled employment growth make it one of the most attractive cities to live in on almost any angle. With a population of 2.3 million people and more than 300 days if sunshine per year, it has a lot to offer including an edgy arts scene, exciting nightlife, sporting community, music and café culture – all within easy reach of green rainforests, blue waters and golden beaches. Brisvegas beats to a rhythm of exciting contrasts and endless adventures. The centre of the city is small: just 2.2 km2. And being a compact city makes it such an easy place to live. People are friendly and make visitors feel very welcome making it a place that offers a great combination of opportunities and an easy way of life. The Brisbane Student Hub is a free, welcoming support service for international students in Queensland. Located at The Edge, State Library of Queensland, providing information, advice and referrals on healthcare, employment, budget management, accommodation and legal services, as well as connecting students to local events and activities. Their independent staff provides face-to-face assistance and support with students invited to discuss any matter in a safe and confidential environment. The Gold Coast is Australia’s 6th largest city, 100km south of Brisbane (Queensland’s capital). It has 57km of golden coastline, sunny climate, and a vibrant and young atmosphere which makes it a top destination for beach lovers. Queensland’s stunning natural landscape offers many places for daytrips or holidays, like the mountain ranges and rainforests in the Gold Coast Hinterland. The Gold Coast has its own international airport, world class sporting arenas and an exciting nightlife. Perth is Australia’s fourth-largest city, home to about 1.9 million people and capital of the thriving state of Western Australia. It offers an inspiring study environment with sunny weather, a relaxed outdoor environment and beautiful natural scenery. It’s set on the beautiful Swan River looking up to the Kings Park Botanic Gardens. Beaches stretch for miles to the north and south. The port city of Fremantle is 18km south west of the capital.